I'm so pissed and sad right now. 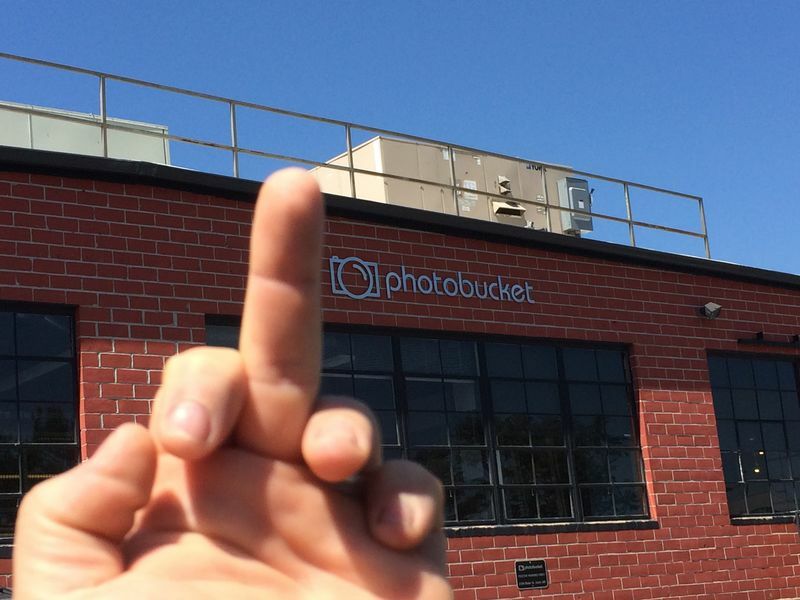 I've been using photobucket for almost ten years now and they've decided to quit 3rd party hosting for free. They want $400 a year for a subscription! Needless to say I'm not going to pay that and I don't think anyone else will either. I'd be hard pressed to pay a tenth of that. Mine, too. I'd think that the traffic I bring to their ad-laden site would be payment enough, but I guess greed has outweighed common sense. No one is going to pay such a ridiculous extortion fee. If they don't backpedal, this will be their end. Making things worse is that Pelican has changed the forum so that you can't go back and edit older posts. I would go back through my DIY threads and upload pictures to replace all that are missing, but Pelican has decided that feature should be done away with for some odd reason. Seems as though post editing is limited to 30 days. I'm not opposed to photobucket wanting compensation, but the amount is ridiculous. They've been great up until now. There are plenty of free photo hosting sites that pay their bills with ads and don't have half as many ads as photobucket. Kudos for pelican for completely fixing the functionality of their own image hosting feature on this site earlier this year, which was broken for a long time before that, which unfortunately probably drove more folks here to Photobucket and other third party hosting sites. I've noticed there are a lot more photos being shared since they fixed it, also. Time to make use of it! Last edited by jakeru; 07-01-2017 at 12:36 PM. Completely bonkers decision. I'm looking for an alternative but not found one yet or maybe just need to spend a bit of time getting used to a new one. I might have paid 50 bucks a year but 400, they can take a jump for that. I post across a few forums and like that once I did one post I could just copy all the text and image codes and paste it to another. I feel the pain and it hurts! For a short-term solution I am using Img Safe (Img Safe). They have a free account that allows 3rd party linking. In the longer term, I will self-host all of my photos on one of my many websites to avoid something like this happening again. Please see my post here to Pelican Parts asking for them to re-enable the editing of old posts. If you could post a voice of support, it would be greatly appreciated. I'm trying to download a picture. Can anyone see it? Last edited by itsnotanova; 07-10-2017 at 07:08 PM. I stopped by PB's headquarters to visually express my opinion. Last edited by mavis.d; 07-23-2017 at 01:54 AM. I'm not sure but my plan was fairly cheap I get a basic 2 Gig. In 6 years I have only up loaded 7% of that. As I say I don't remember the cost but it stick in my mind that it was only $19.99 a year for three years. They have a 52 Gig package for $59.99 I ended up having to call customer service to get the smallest possible account. I've been Grandfathered, because I had been paying Photobucket for a Plus no ads account my plan was just renewed Oct 27, for $19.98 for the year. Here is the catch they will only honor this at the price I paid until December 31, 2018. All the pictures will stay posted until then and after that they will no longer be linked. I copied all my photos back to my hard drive and will look to post through another service. I tried but I can't post a new photo. Last edited by jsceash; 10-30-2017 at 12:21 PM. I just moved all my Photos to Smugmug. I'm debating how many old photos to swap. what are other going to do?